Mike Isabella’s Kapnos Taverna in Arlington serves classic and coastal-inspired Greek dishes, including favorites from the Greek Islands along with tastes from other regions known for their fine local products. 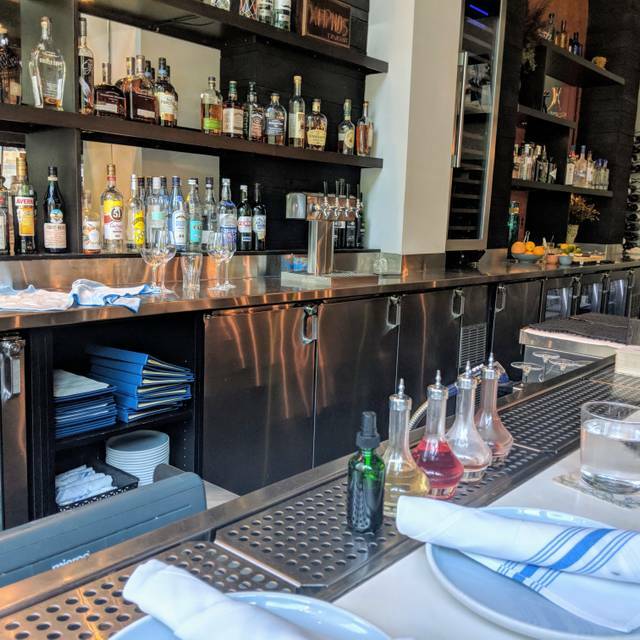 A sister restaurant to Isabella’s Kapnos, located on 14th Street in Washington, D.C., Kapnos Taverna Arlington features more traditional takes on the ancient cuisine alongside some of the biggest hits from his modern ode to mainland Greece. The restaurant’s liquid offerings feature a Greek-heavy wine list and Mediterranean-inspired cocktails by Mike Isabella Concepts beverage director, Taha Ismail. Everyday from 3pm - 7pm in the bar area only. 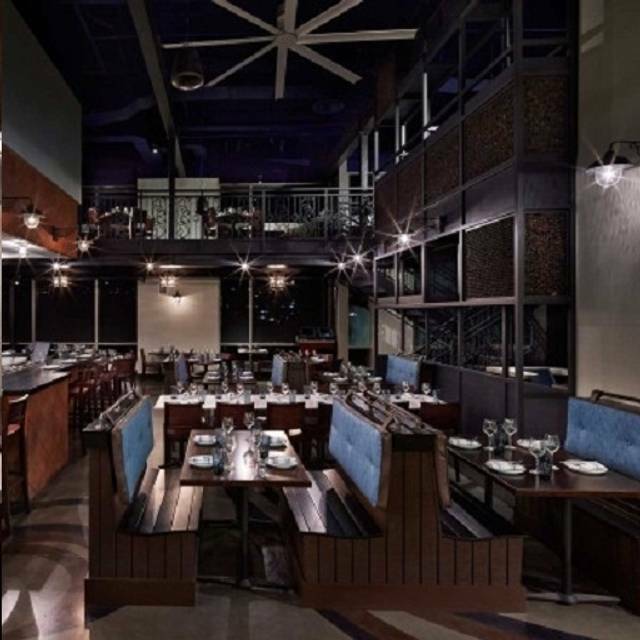 Kapnos Taverna Arlington offers private and semi-private dining along with multiple chef’s tasting menu options for you and your guests. Our small plate concept provides a taste of modern Greek cuisine for everyone in your party. We also offer full-restaurant buyouts. Please email for more info. Whether you’re feeding a handful of coworkers at the office or a few hundred guests at a wedding reception, let our expert culinary team make it an event to remember. Bring a taste of Mike Isabella’s restaurants to your event. Our expansive catering menus offer an array of dining options in a number of cuisines, including Italian, Greek, Mexican and Contemporary American. In addition to street and metered parking, garage parking is available at 4075 Wilson Blvd, in Two Liberty Center across the street. Entrance is next to HSBC on Randolph St. $3 from 5pm-midnight during the week and all day on the weekends. I was very disappointed to find out that despite an active OpenTable listing and booking, Kapnos Taverna unexpectedly closed (for good!) a day or so prior to my reservation. On a normal day this wouldn't matter, but it left my work luncheon stranded and surprised when we showed up to a closed restaurant. Disappointed with Kapnos and Opentable for the lack of communication, but luckily we were able to find an alternative location. We got there and there was a sign on the door telling us it was closed forever. It's closed!!! Take it off your list. The entire chain is bankrupt!!! HELLO! I made reservations here for our annual Christmas brunch but were told they ran out of food. Luckily, we were around other restaurants and hopped over across the street. It was just me and another girlfriend, had it been a family outing I would have been VERY upset. When we arrived, we were greeted at the door and told to come in. And then were told that they had run out of food...They had run out of food prior to us getting there and when asked if they bothered calling the reservations, they said they weren’t going to do that. Not only did we have to find a new place to go very last minute on a very popular Sunday, what kind of restaurant runs out of food. Trying to find a new reservation for 8 people was impossible. 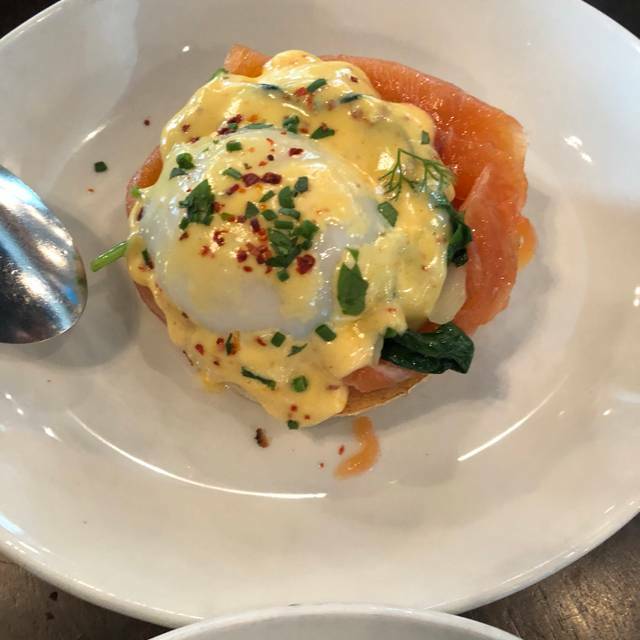 Brunch is not a new meal for this place. Food was tasty but restaurant is cold, drafty, and uncomfortable seating. Extremely disappointed with the service this time. It is usually very good but the waitress was not attentive, forgot to bring items we asked for, and was very slow. I was treating my staff to a dinner so it was disappointing and since we had 6 people, she gave her self an automatic 20%, which she didn't deserve. 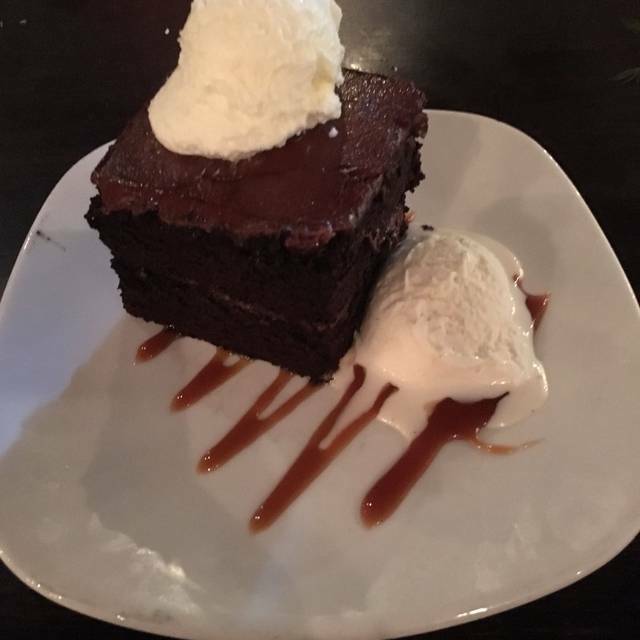 Birthday was given a free dessert. Good food & service. Interesting, we had to select wine a number of times only to be told that there was none in stock. The bartender made a suggestion from what was available. Love their bottomless brunch! Whole table has to participate though, so be prepared to eat a lot! We were looking forward to date night at Kapnos, but I am sorry to say how disappointed we are. The food was sub-par (with the exception of the lamb, which was actually quite nice) and was coated in sauces that mostly ruined what might have been decent small dishes. The server was polite and greeted us promptly, but after we ordered our drinks, she was nowhere to be found. This was especially an issue because they brought us the wrong wines and then were very confused about what was on their own menu. We also really wanted to order food (surprise) and we had to hunt her down to take our order. Again, they were not rude but there's very little genuine "Greek" or "Mediterranean" or even "good" about this spot. We won't return. We both had the gyro which was large and filling with the Kapnos greek potatoes. Both dishes were OK but why do they add so much spicy heat to the seasoning? Mid-afternoon meal, so not much people activity but I hear that it gets busy at night. Meal might be improved by sitting in a busy restaurant. Always impressed with food and service. Creative food, variation of Greek Mediterranean. Dips, sides, small plate mains. So much to choose. All tasty. 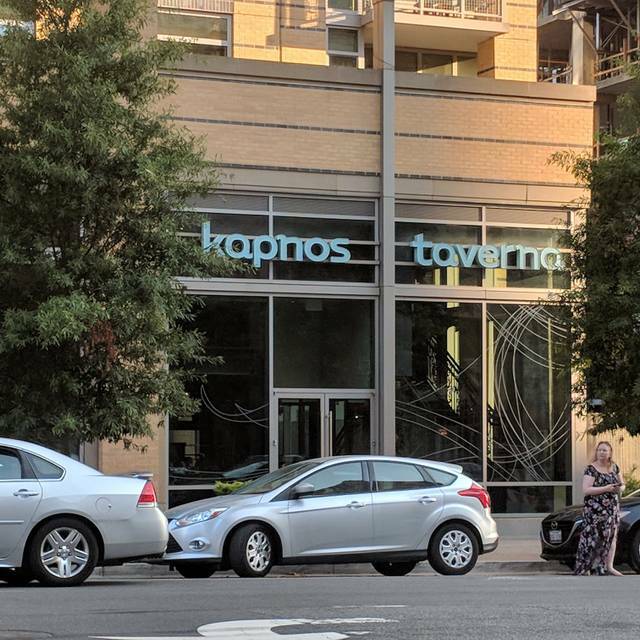 Kapnos Taverna is the best restaurant in Ballston! The lamb is so tender and just falls apart. The tzarziki is fresh and delicious. The cheese saganaki was perfect and I could eat it every day and never be tired of it. Love this place! Waitress was great. But the first server we saw was a busboy bringing water who couldn’t even say hello to us. Great place, great food, and great service! Lots of fun and intimate. Good food and beverage selection. A bit loud do to architecture and acoustics. Convenient to downtown area. Restaurant staff very helpful and accommodating. Food excellent with great service. Great location and easily accessible by UBER. Food is always delicious and unique; service is always great. I typically make a reservation, but for couples or small groups walk-ins would probably be welcome. Used to be good, but menu has changed, several favorites eliminated, and the dishes that have remained available are no longer high quality. Lackadaisical service in uncomfortable setting. All for high prices. We will never go back. The falafel gyro was so tasty, I ate every last bite of it! Mousoulata (sp) was delicious as well. Great server and service overall. Will dine there again soon! Thanks for a job very well done! Food was creative and delicious! Kapnos never disappoints for great tasting food and service. We enjoyed a wonderful French Malbec, the delicious spreads including smoky eggplant and feta cheese. The salads and veggie offerings are delicious as well. Service was attentive despite having a very large party show up for most of the upstairs, they coordinated well to make sure we had everything we needed. Look forward to our next meal there. Consistent food and service! Great drink menu and wine selection. Overall it was great, the food was fantastic and the service was excellent. My only complaint would be that the food seemed a little overpriced for the size. The food was very delicious. We had oysters, mussels, spit roasted lamb, Brussel sprouts, and crispy eggplant. The vegetable dishes were superb as were the mussels and lamb. 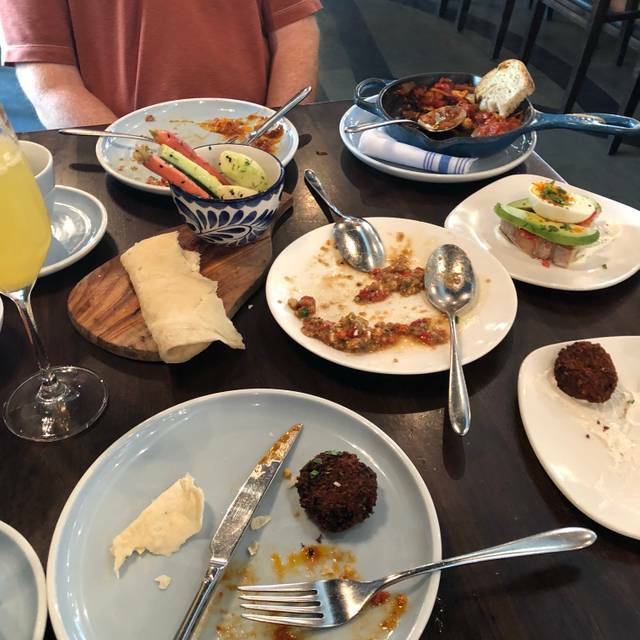 We have been to Kapnos several times both in Arlington and Bethesda and the food this time was a cut above. My smoked pork hash was en pointe, I would have preferred a second poached egg. The server was good, helpful and attentive without being obtrusive. I'd like to revisit for a dinner service once they're fully launched. My only concern is that the dinner menu is a bit pedestrian, I hope they will offer daily specials. Because that's the excitement of dining out, innit? Great food but very small portions. Expensive for the small portions, which was unexpected. 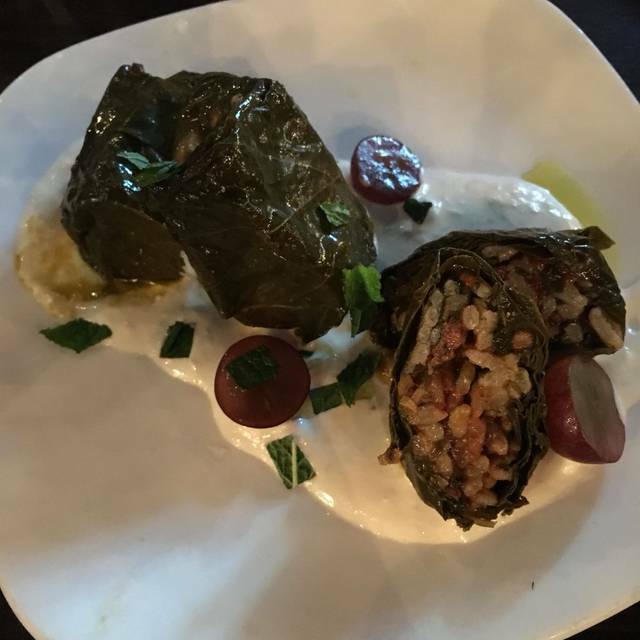 We made a repeat visit to Kapnos Taverna for a birthday celebration. It was an opportunity to introduce some members of our party to the spectacular lamb shoulder. As always, this was excellent and represents a tremendous value. 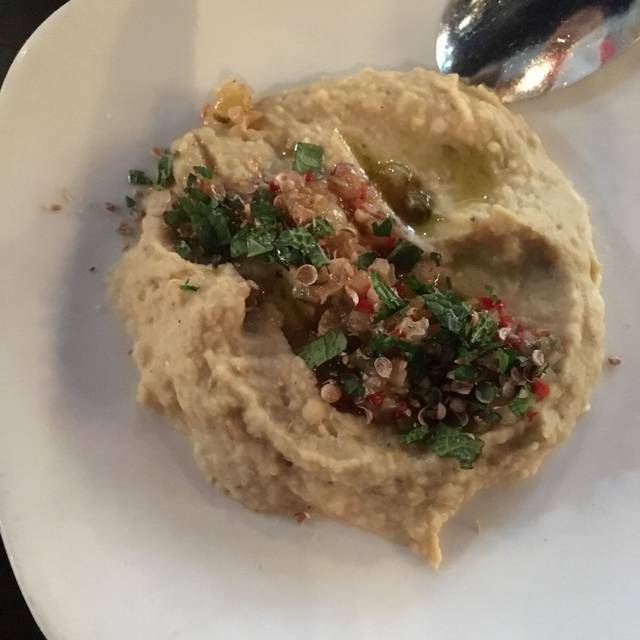 It seemed that the impact from the Executive Chef's other business troubles have had little impact on Kapnos Taverna, although we did note a different technique for preparing the fried eggplant appetizer. The 'vibe' was quite subdued...very different than on previous visits. 1. The lamb shoulder was not shown to us before final preparation, as is the norm. 2. The lamb shoulder was served BEFORE the appetizers...no coordination. 3. My spiked coffee was served lukewarm. We came in after a soccer game around 8:00am on a Saturday night . We were early for a reservation and they had a seated right away. The problem was that once we ordered food it took quite a while to get it. The server explained that the kitchen was backed up. I wish he would explain that a little bit earlier instead of us having to try to wave him down. He kept peeking around the cashier station to see if we had our food yet. Apparently different people serve the food. The food is a little over priced for the portions. It was tasty but the recommendation by the server to order 3 mezza servings was a little much since prices were between $12-18 each. Three of us ordered the flank steak with cauliflower purée and chimichurri sauce. Tasty but very small portions. Far too much salt! I’m sure the ingredients were great but you couldn’t taste much. Some dishes were better than others, recommend the mussels but sadly the lamb was lukewarm and over cooked. Wait staff was attentive and friendly and helpful. 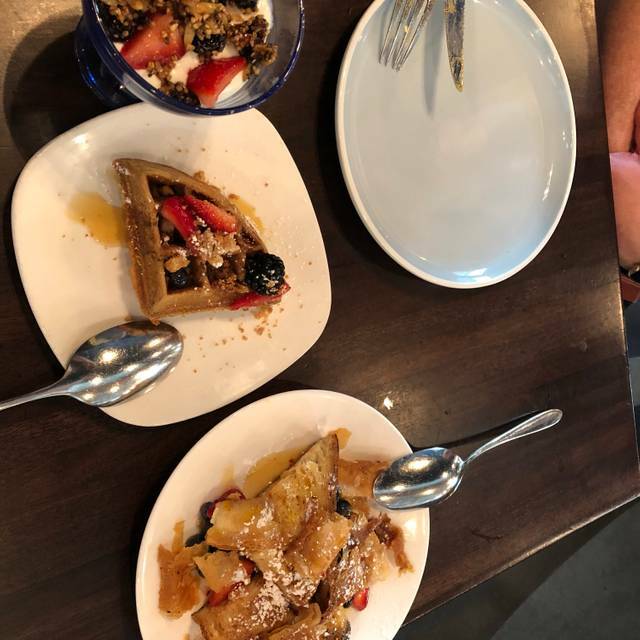 We were a group of 10 and not aware ahead of time that the menu was created for sharing but everyone seemed ok with that and we enjoyed trying some foods we personally did not order. The only negative was the noise level was so high and our table was a rectangle so we were not able to converse with those at the other end of the table and it was a bit challenging to hear those across from you. Parties of 2-6 would be advised for a group dinner. The food was so flavorful and well presented. Would definitely return!